It’s hard to imagine that our church, enjoying worship and ministry in our “new” building, is now 200 years old! What an incredible blessing that the Lord has graciously guided through two centuries of ministry. In studying our history, a few things stand out. First and foremost, God’s hand of providence has always rested on this marvelous church. Though Buck Run had several church splits (two of which resulted in the Providence and Calvary Baptist Churches) and four significant moves, each successive significant action resulted in greater growth and effectiveness for the church. Founded in 1818, the church built a new building in 1855. In 1888 they moved that building to where it now stands on the north side of Highway 460 at the Forks of Elkhorn. In 1994, the church built a new structure on the south side of 460 and worshipped there until our recent move in 2016. I know of few churches with a 200-year history who are still growing and feeling like their greatest days of growth and mission lie ahead of them, but I am not merely cheerleading when I say that is the happy prospect for Buck Run. Last year we were number #8 in the state in Cooperative Program giving, even while building and paying for our new building! That is an amazing fact. Furthermore, we are sending more people on mission trips and disaster relief efforts than ever before. We are planting a church in Colorado. Look around on any Sunday and you will see faces that you have never seen here before because our members are diligently and happily inviting guests to attend and see what God is doing in this place. Praise the Lord that we look back at our history with joy and delight but with no wistfulness that our best days are gone! One other fact stands out. In 200 years of history, Buck Run has had 77 pastors. The average tenure has been about 2 ½ years. 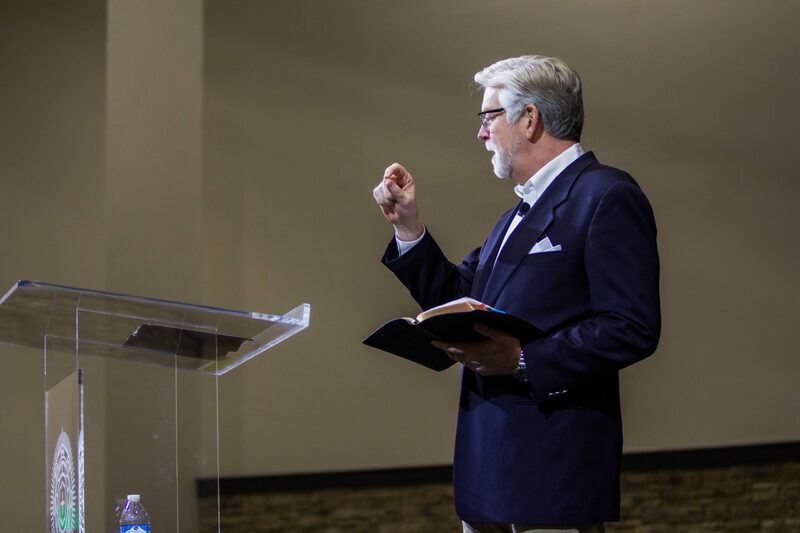 But just two pastors, Bob Jackson and I, account for 34 years of that history, the years during which the church’s most significant growth occurred. It certainly suggests that the greatest growth occurs when a church and pastor learn to love each other and stay together to serve Christ jointly for a significant block of time. This Sunday, January 28, we are going to celebrate that history. Please invite anyone and everyone you know who was ever a part of Buck Run to come and celebrate with us. I want to thank everyone who ever contributed prayer, time, talents, and resources to this ministry. Bro. HB Charles, pastor of Shiloh Metropolitan Baptist Church in Jacksonville, FL will be our honored guest. You may recall that we have commissioned Dr. Steve Weaver to write a 200-year history of the church. Though the work is not yet finished, we are going to take advance orders for the book at $25. The eventual price will be $40, so if you place an order now you can save!